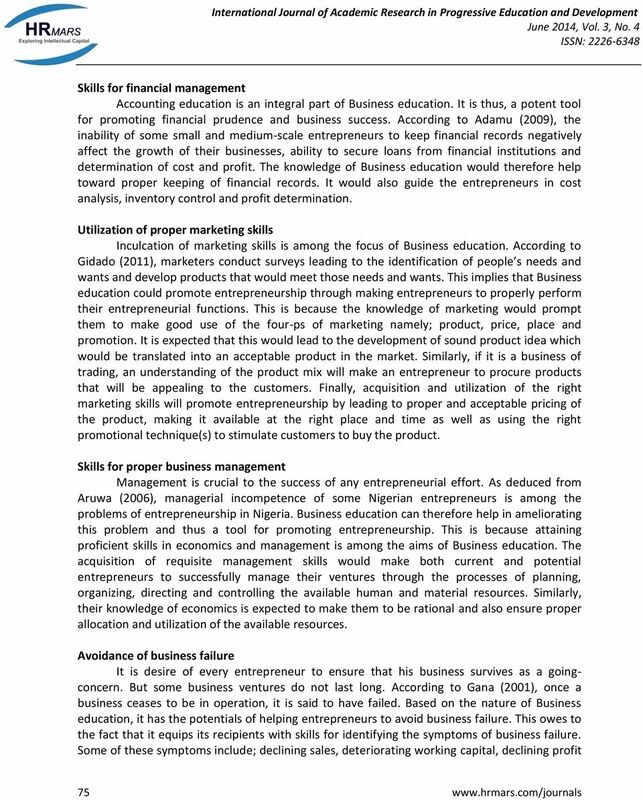 Download "Role of Business Education in Promoting Entrepreneurship in Nigeria"
Entrepreneurship Education In Nigeria. 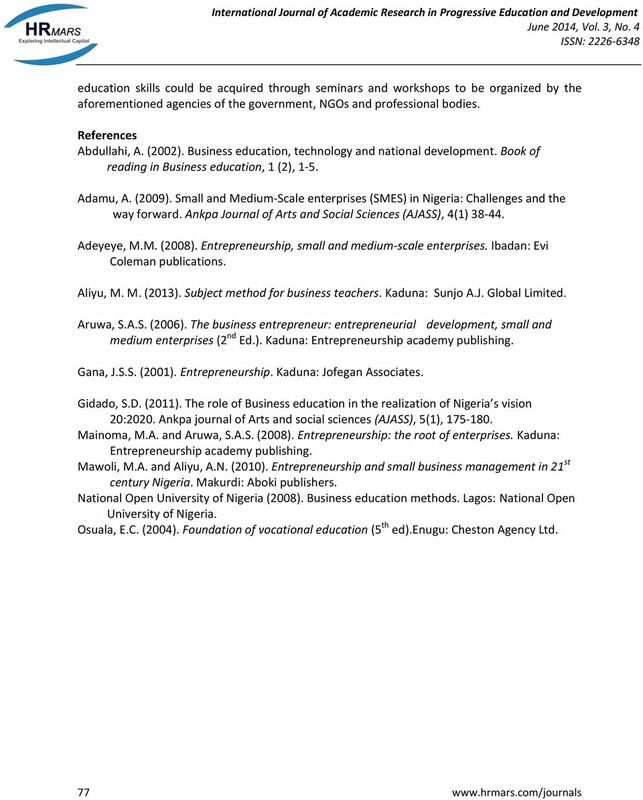 Sunday Aide Ojeifo, Ph.D (Corresponding Author) Public Administration Department, Faculty of Management Sciences, Ambrose Alli University, Ekpoma, Edo State, Nigeria. Courses and Registration There are two types of courses available: English Courses at the Business School. 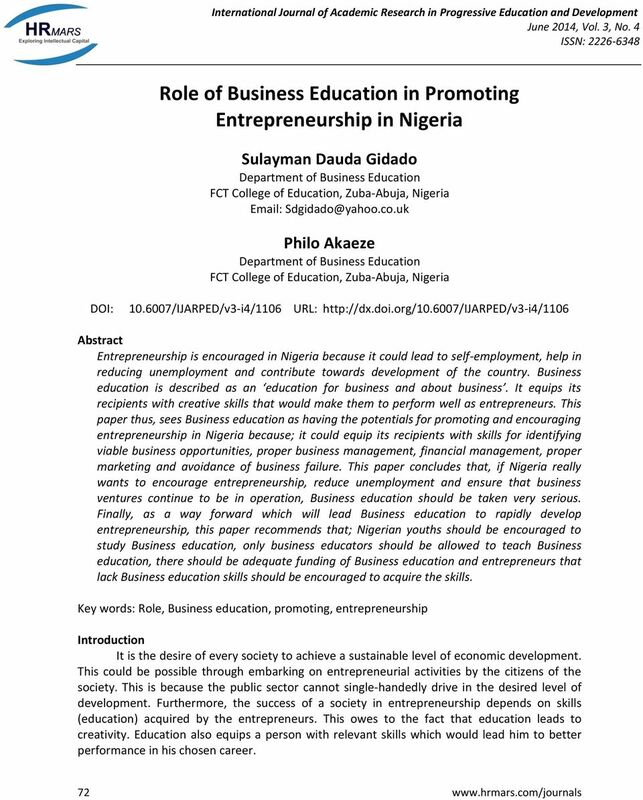 DRIVING ENTREPRENEURSHIP EDUCATION IN NIGERIA: ISSUES AND CHALLENGES Ayatse, Fidelis Aondoaseer, Ph.D Department of Business Administration, Federal University of Agriculture, P.M.B. 2373 Makudi - Nigeria. 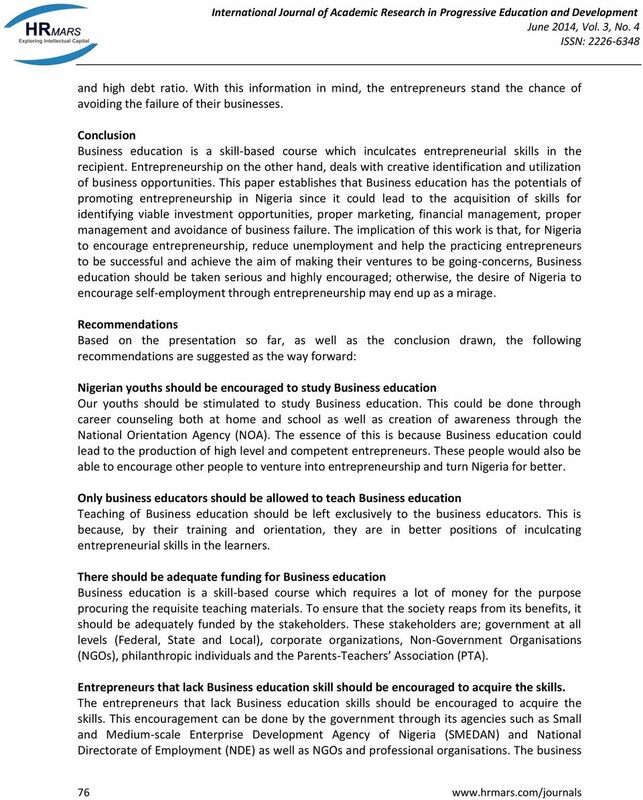 Main Findings There are few policy measures for young entrepreneurship outside the school system. Most programmes and projects outside school are generally oriented and not targeted towards young individuals. 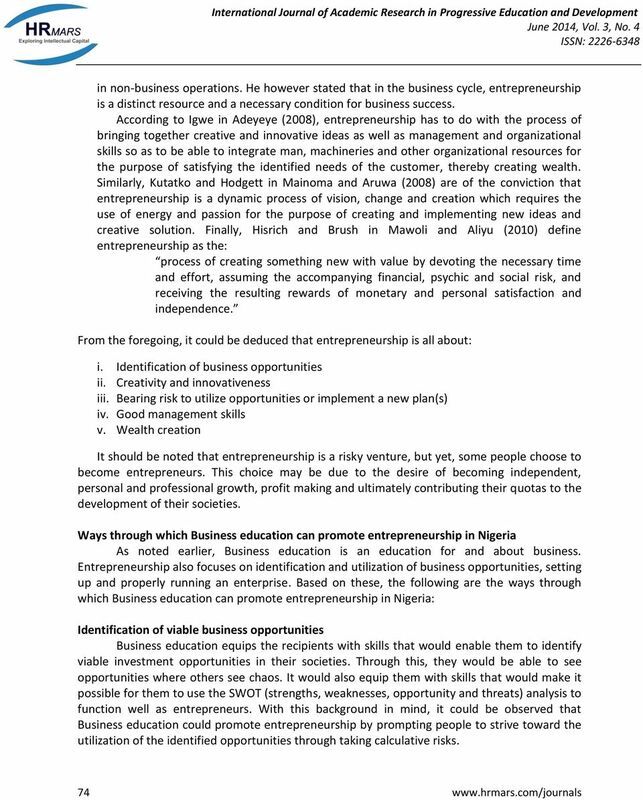 ENTREPRENEURSHIP OPPORTUNITIES AND CHALLENGES IN NIGERIA. Entrepreneurship: The challenges ahead Dr. Stylianos Mavromoustakos Executive Director, Intercollege Vice President, EfVET www.intercollege.ac.cy/www.efvet.org Contents What is EfVET What is entrepreneurship?